The small town of Todos Santos is located about halfway between Los Cabos and La Paz, the capital of Baja California Sur state. 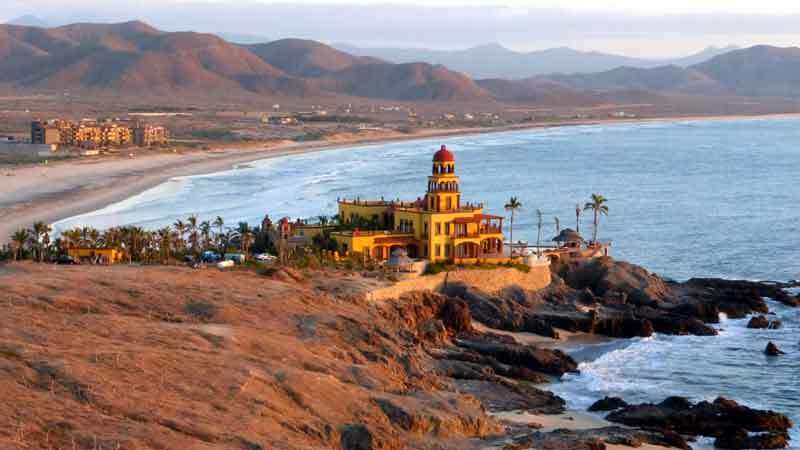 Todos Santos is located on the Pacific coast, the opposite side of the Baja Peninsula from La Paz. This town is an artists' haven and has been named a "Pueblo Mágico" by the Mexican government, a designation given to small towns throughout the country that have exceptional appeal. 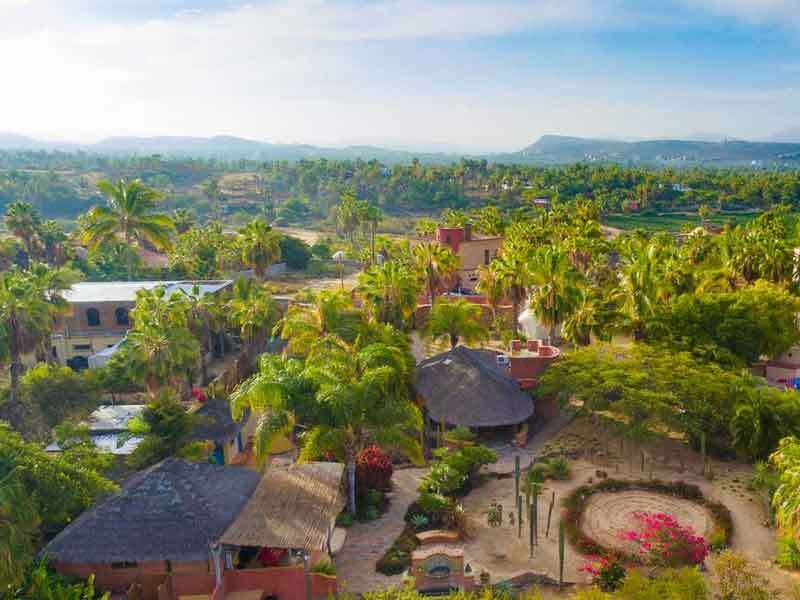 With a population of just over 5000 inhabitants, Todos Santos is small enough to maintain its sleepy, small town charm. 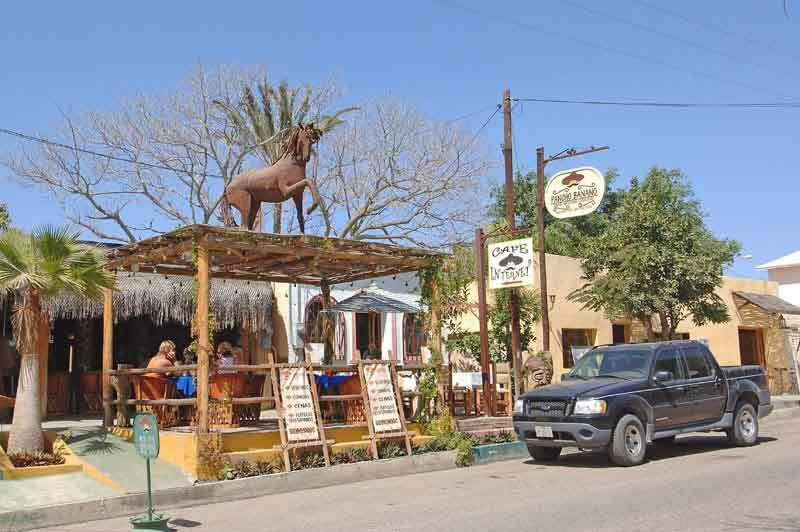 Some people visit Todos Santos as a day trip from Los Cabos or La Paz. It's a great place for shopping, with a variety of galleries and shops where you can pick up some work by local artists or tourist kitsch. Visit the Nuestra Señora de Pilar mission, the town's 19th century church. 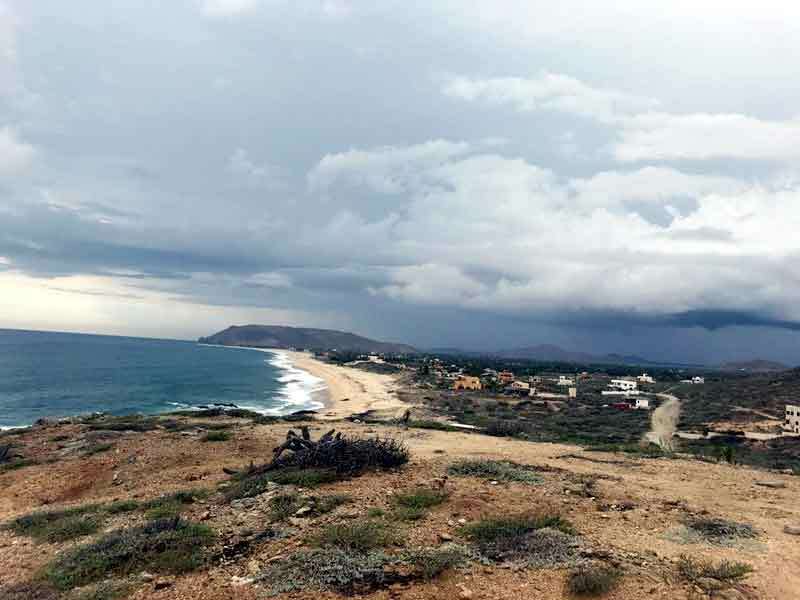 Todos Santos is not only popular with artists, it also holds an attraction for surfers who come to the Los Cerritos beach. Both beginners and more advanced surfers alike will find waves to their liking. Other activities that are enjoyed here include swimming, beach combing, hiking, fishing, and bird watching. The famous Hotel California is a popular place to stay. With 11 rooms decorated in a funky and eclectic style, this hotel evokes memories of times gone by, and seems to summon up strains of hit songs from the 1970s. 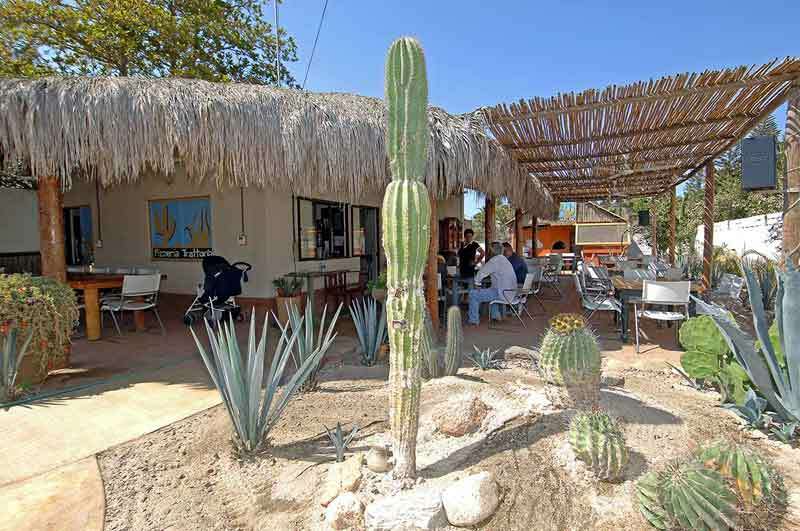 Hotel Guaycura is an upscale boutique hotel with 14 suites, and a lovely rooftop terrace bar that serves great margaritas with expansive views of the surrounding desert and the ocean in the distance. If you prefer to stay close to the beach, the Hacienda Cerritos is on a private bluff overlooking the Pacific. The Todos Santos Music Festival was founded by Peter Buck of REM fame in 2012 and is held every year in January. Concerts are held at the Hotel California and in the town plaza. 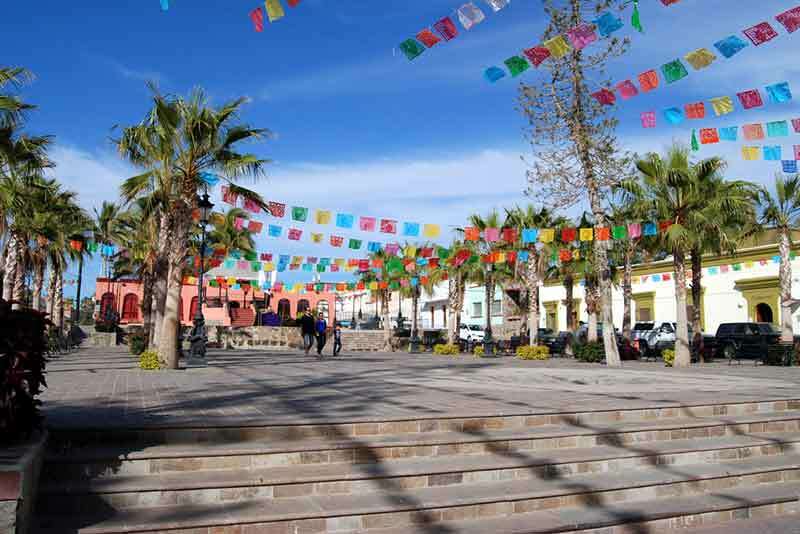 The town of Todos Santos also hosts an annual film festival, the Todos Santos Cine Fest, which is held in the month of March. 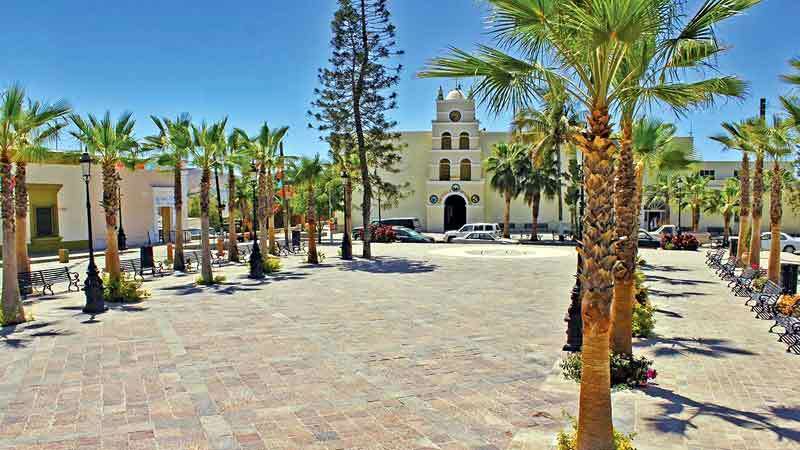 A local legend about how the town got its name says that in the early days of the colonial period the indigenous people would travel to San Jose del Cabo to have their children baptized by the priests at the mission there. The priests would ask where they had traveled from, and the parents would respond with the indigenous place name. The priests felt that each place should have the name of a saint, so they put several statues of saints in a bag and undertook the journey to visit the indigenous settlements to give them proper saints names. In each settlement they would pull a saint out of the bag and the place would be receive the name of that saint. When they got to Todos Santos the priest carrying the bag keeled over and died and all the saints fell out of the bag, so they named it Todos Santos, which means "all saints."